In this assignment you will write a program to calculate the square root of a number using the Babylonian method. You can search for that method, it will be easy to find. Again, this is Java and object-oriented programming. Don’t lean on your imperative roots but think objects and messages here. As usual, create a blog post explaining what you did, where you found resources (books, videos, web pages, friends) to help you solve this. Remember to put the tag #WSQ07 on your post so our blog hub picks that up. And of course, leave any questions here as well as asking those questions on Twitter with the hashtag #TC201 so we all see your question posted there. 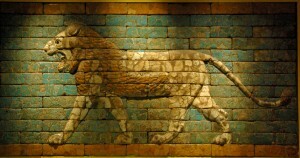 WSQ07 – Babylonian Method by Ken Bauer is licensed under a Creative Commons Attribution-ShareAlike 4.0 International License.